A sequel to Norton’s debut novel The Edge of Normal, this continuation of Reeve LeClaire’s story can still be picked up and enjoyed by any who haven’t read its predecessor. I reviewed the first novel here last year, and was impressed with how well Norton handled an intense, traumatic subject matter in a responsible way while also keeping the book honest, well paced, and suspenseful. For better or for worse, What Doesn’t Kill Her consistently matches all the notes of that first novel. The writing, plot, and characters are just as engaging as in the first book. What Doesn’t Kill Her continues the storyline of its predecessor, and Reeve LeClaire evolves in significant ways from her past and the events of book one. However, themes of the first novel reappear in the sequel and the threats that face Reeve are at least partially a rehash of the conflicts in The Edge of Normal. For new readers getting introduced to the character – the scars of her past and the brave steps she takes to move on – this sequel will be approachable and a complete discovery. Fans of the first book will certainly enjoy it, but perhaps find it a bit familiar in terms of what the plot is throwing at its protagonist. 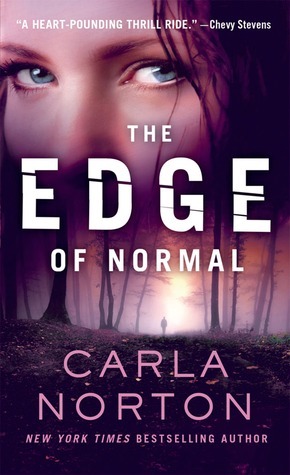 The Edge of Normal introduced Reeve LeClaire, a young woman in her early twenties who a decade prior was the victim of kidnapping and captivity by a sexual predator. Living with memories of this traumatic past, Reeve hesitantly answers a call from her psychiatrist and her own conscience to help a young girl just saved from similar captivity, whose kidnapper remains at large, watching the escaped girl and Reeve from the shadows. In What Doesn’t Kill Her, Flint, the man who abducted Reeve, has managed to escape from prison. With her former tormentor evading capture and targeting her anew, Reeve feels that she must bear the responsibility of stopping Flint. This plot depends on Reeve believably going after an escaped criminal and killer who she has a personal, horrible, history with. A bit of a stretch, Norton makes it work based on the insights that Reeve has on Flint’s psychology and life, based on what she overheard and experienced during her captivity. The authorities involved in Flint’s capture don’t have this insight, so to force Reeve into action Norton has to make the police somewhat unresponsive to following up on Reeve’s memories and feelings. This does provide a nice impetus for Reeve’s growth as a character, as she begins to have bad memories return and is forced to face and overcome them. It also continues Reeve’s independence, of not being reliant on others, particularly male authority figures, to simply step in and protect/save her. This plot also returns to putting Reeve in physical danger, kidnapping situations where she is again faced with an evil captor. It ends up feeling like a retread of the climax of the first book, and now the cat-and-mouse game leading up to confrontation doesn’t have that element of the first book where Reeve is primarily acting to protect another young girl. Now it is completely about her, her past, her safety and future. I do look forward to future books in this series, and despite some familiar situations that brought me some disappointment from this novel relative to the first, it overall is still an excellent read. Set in the slums of Payatas, just outside Quezon City of the Manila metro area, Batacan’s Smaller and Smaller Circles is a bit of a contradiction. On the one hand it is rather unique: a crime procedural novel written by a Filipino author with a plot steeped in local politics and culture, and featuring two Jesuit priests committed to identifying a serial killer preying on the indigent tween boys living amid the neighborhood trash warrens. 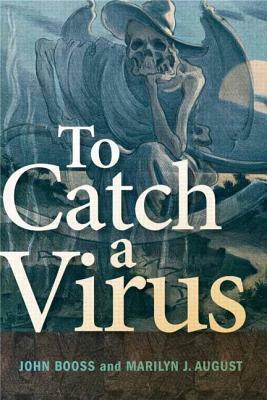 However on the other hand the novel is exceptionally ordinary: routine in its text and familiar in its protagonists, antagonist, and suspense despite the unique setting and perspective. As a respected forensic anthropologist, Father Gus Saenz serves as an asset for the National Bureau of Investigations, particularly surrounded by the corruption of local police and his personal connection as priest to a flock living in abject squalor. Together with his psychologist protégé, Father Jerome Lucero, Father Saenz begins to investigate the appearance of eviscerated young local boys, seeking an end to the horrible crimes of an apparent serial killer and justice for the victims, vulnerable members of humanity that their society would rather ignore. Most significantly, I found descriptions of local atmosphere lacking in Batacan’s writing. Though descriptive passages are present, the large chunk of Smaller and Smaller Circles consists of dialogue and stage direction. This is typical in crime novels, but unlike something like Hammett, Batacan’s dialogue and focus on the mundane seems remarkably tedious. To be fair, other readers may see this type of realism to be refreshing, and it may draw them into the story more than it did in my case. Given the expectations I had in viewing this book as a rare Filipino literary take on the crime genre, I was left wanting much more. More about the procedure of investigation, the novel can’t really be described as a mystery, as the identity of the killer is not something the reader could arrive at. Yet, there is the element of discovering the killer’s motivations behind the gruesome murders. Again, as with the sociopolitical commentary provided by the setting, the psychology and past of the killer is an aspect to Smaller and Smaller Circles that holds so much untapped potential. Just as Batacan doesn’t pursue the politics of her novel to much depth, so too is the serial killer’s psyche not fully explored. Moreover the ‘reasons’ for the killer’s impulse never believably syncs (in my mind) with the details of the murderous acts. Identification of the serial killer and the ultimate conclusion to capture them proceed with little twist or surprise, and the reader will likely realize how the killer gains access to victims before the Jesuit pair. This slow predictable plod to resolution, coupled with the unremarkable dialogue, made this hard to get into. Certainly not badly written, fans of police procedurals may still find something to enjoy in this novel, particularly if they appreciate the genre familiarity within a slightly unfamiliar setting. Plenty of readers have connected with Smaller and Smaller Circles, and depending on your interests/expectations you might too. But my expectations for something really new and different were unfulfilled. In an odd convergence this is actually one of two crime novels I’ve just read featuring Jesuits and an ‘exotic’ locale (compared to those in typical crime novels published in the US). The other succeeds far stronger, so look for its review coming soon. Disclaimer: I received a free advanced reading copy of this from the publisher via the Goodreads First Reads program in exchange for an honest review. A foul odor is noticeably growing, emanating from a shed and attracting the attention and concern of neighbors. The police are called in. Within they discover an elaborate insect farm and the remains of two people, picked to the bones. So begins Stuart Prebble’s The Insect Farm, the English author’s first novel published in the US. After the grisly discoveries of the novel’s prologue, the story begins from the point of view of elderly Jonathan Maguire: an everyday, normal kind of fellow who is writing down past recollections of his family and life. Jonathan hints at some significant event compelling him to relate this past, an event – figures the reader – related to the mysterious bodies discovered in the prologue. For all his his life, Jonathan has been close to his older brother Roger. Loving and protective of one another, the Maguire brothers have a normal childhood. But as Jonathan begins to grow into young adulthood, he begins to notice that Roger’s mind has remained in adolescence. Roger’s mental disabilities and related social insufficiencies leave him in a relatively simple, but happy, life of reliance on his brother and their parents. While Jonathan starts to get an interest in girls, Roger develops an interest in insects, starting an insect farm in the yard shed as a hobby. 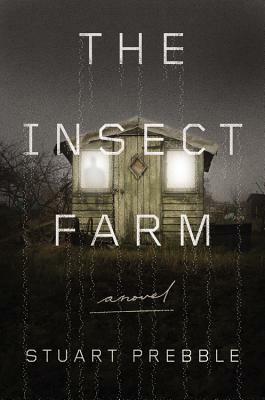 As Jonathan begins to focus more on his studies and a relationship with his attractive girlfriend Harriet, circumstances force him into greater responsibility for caring for Roger, whose insect farm has grown into a beloved obsession. But Jonathan’s commitment to caring for Roger limits the time he has with his now-wife Harriet, the only woman in a small musical ensemble that works long-distance. Only seeing Harriet during the weekends, Jonathan lives in constant jealousy that his stunning bride is away with a bunch of other men, one of whom makes no secret of his desires for Harriet. Two brothers with different sorts of obsessions and dependencies: one with mental/social defects and eccentricities the other with near-stifling responsibility and pangs of resentment. A wife away with a man who fancies her. One can imagine that things can go wrong with such tension. But what will happen exactly? And which of these characters correspond to the two skeletons that end up with the insects in the shed? There lies the mystery and suspense of The Insect Farm. It’s important to stress to potential readers that these genre tensions do not form the bulk of the story. Prebble’s novel is somewhat hard to characterize and it is easy to go into this expecting one type of story only to be disappointed that you’re getting something else. This isn’t a thriller with some cat-and-mouse chase toward discovery of identities. It isn’t about fulfillment of justice for a crime. The resolution to the prologue of The Insect Farm will not be revealed until the reader completes the last page, and there will be some surprise twists right before the final, appropriately subtle, one. But it takes a lot of text to get to this point of revelation. The majority of that text (3/4 of the novel roughly) is taken up with the rather everyday family drama of the characters. It thus more closely resembles a contemporary ‘literary’ piece of fiction than something from the mystery or thriller genre. At it’s heart, it may be more aptly described as psychological suspense, heavy on the psychology. The psychology of the Maguire brothers is the meat of The Insect Farm, most particularly that of the point-of-view narrator Jonathan. And Jonathan is not a particularly likable person. I have no issues with needing characters in fiction to be likable, but I know some readers do. For me, this is what makes The Insect Farm an actually interesting piece of fiction. To what degree is Jonathan selfish? How honest is his devotion to his brother? How alike are these two brothers? Does Roger have greater understanding and capability than one might at first think? What moral culpability does Roger have for social transgressions given his mental development? The characters here – including Harriet – may not be likable, but they are interesting. They are people whose motivations aren’t always clear-cut, but they do have them. These complex motivations, and the psychology of characters’ decisions are the elements a reader can focus on here, forming questions and opinions that can be debated with other readers. People who appreciate this type of thing will find a lot to love in Prebble’s novel. 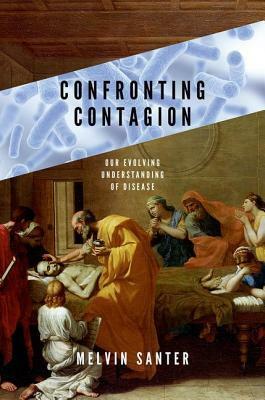 But if you don’t want to get into the character’s minds – or don’t care to – then you will likely get rapidly bored as a seemingly normal mix of human dysfunction ‘drags on’ until finally turning to crisis and fall-out management in the last quarter of the book. For me, the character details that lead up to that end point were largely worth reading. Do people have the right to die when their lives approach their end filled with unbearable pain? Is it murder to assist them? Conversely, do remorseless, monstrous criminals deserve death? 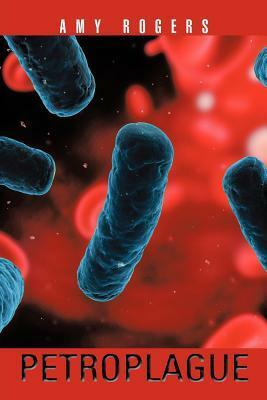 Should they be inflicted with pain as punishment for the worst of human crimes? Is torture justified to gain answers to save the innocent? These are the kinds of questions at the heart of Dolan’s debut novel, The Euthanist. Kali is the pseudonym chosen by an EMT who has taken up the off-hours job of assisted suicide under the umbrella of a clandestine right-to-die movement. She meets the illegality and moral grayness of her occupation by adhering to a strict code that includes a long process of meeting with clients, ensuring this is a well-considered decision and that their terminal disease is indeed certain and without hope. Slight laxness in her process traps Kali in a situation gone horribly awry when a supposed client slaps her in cuffs and announces that he is an undercover FBI agent. Kali finds this hard to believe with his odd behavior as rather than arresting and bringing her in, he holds her captive and begins probing into her identity and psychological rationalizations for her actions. Kali soon learns that this FBI agent is not just looking to capture her, but to blackmail her into helping in his own mysterious goals towards revenge against the people responsible for kidnapping his son. 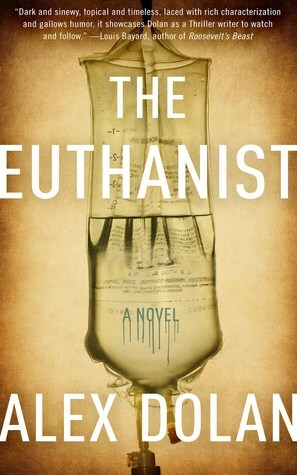 As a thriller and mystery, The Euthanist stands fairly well. The plot takes several twists and turns, and if you don’t know much of the plot going into it things will likely proceed in many ways you didn’t expect. Those big moral questions at the heart of the plot are also fascinating, making the premise of Dolan’s novel at first very captivating. Unfortunately I felt that Dolan didn’t explore the various moral quandaries fully as the novel progressed and the action of the plot began to thicken. The debates over these questions don’t necessarily have a clear-cut answer, and the characters themselves don’t even need to come to any firm conclusions. But within the overall arc of the story, their are firm beliefs at the start, a lot of complexity enters in, and that complexity doesn’t really go. I never got the sense of the characters coming to any sort of solid ground by the end, particularly problematic with Kali, who in general comes across as a very indecisive person. That characterization by far though was my greatest difficulty with The Euthanist. I had an incredibly hard time buying the things that the FBI agent put Kali through, particularly given the similarities to what the agent’s son went through. His vision seems incredibly narrowed, and that vision primarily is simply allowing the author’s plot to unfold. It thus ends up feeling unnatural, authorial design. Meanwhile Kali, a supposedly strong-willed protagonist battling her own demons of the past, comes across as remarkably ineffective in most situations at asserting herself, at maintaining control over her decisions. She allows the FBI agent to control her actions, and eventually begin to guide her thoughts, in ways that I found hard to swallow. These problems with The Euthanist made it ultimately a disappointing read for me, but it still clearly has its merits. Other aspects of writing Dolan has down very well, from atmosphere and tone, to sharp dialogue, and a thrilling plot based on great moral questions. Thriller fans may still consider it worth a look, particularly if passionate about euthanasia or punishment against perpetrators of crimes against children. Reading the first handfuls of chapters of the novel should give a reader a fair sense of whether they will enjoy the remainder. 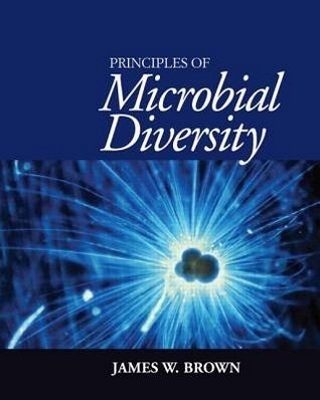 I recently had a post on Small Things Considered, a blog from The American Society for Microbiology that combined reviews of four recent nonfiction books that I’ve read, and one fiction, featuring microbiology. 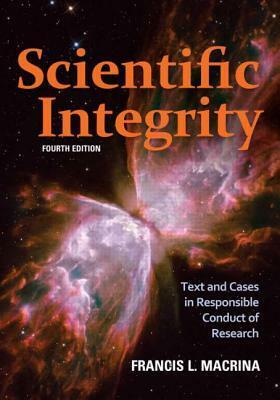 Many of these could be of interest even to general readers with scientific curiosity. You can find short reviews on all of the above in my original post found here on Small Things Considered. Disclaimer: I received advanced reading copies of these books from the publishers in exchange for honest reviews.